Conversion rate optimisation, sometimes called CRO or website conversion, is used primarily on ecommerce websites to increase online sales. While it’s important your site is well optimised, the main objective of an internet marketing campaign is to increase sales. This is where conversion rate optimisation comes in. Conversion rate optimisation tracks and analyses the behaviour of visitors to your site. Specialised techniques such as click tracking and heat mapping are used. Combined with the intelligence provided by Google Analytics, these provide a valuable insight to the behaviour of your prospective customers when they visit your website. When visitor patterns are established, our ecommerce specialists can start to adapt and make adjustments to your site to improve conversion rates and increase your sales. Do you want more sales? If so, contact us today or speak to our CRO team here at SEO Service Pros on 0845 601 2237. Visitor analysis – shows how people have found your site. Did the visitor click on an advert, follow a link or conduct a keyword search? This shows which internet marketing initiatives are the most successful in driving traffic to your website. Heat mapping – the technical analysis of visitor activity on your website. When a visitor clicks on links on your website, specialist software records the action. Based on this information, a heat map is generated. This is a graphical illustration which shows the most popular areas of each page. This information can be used to ensure all conversion gateways are in the optimum position on the page. Click analysis – this helps us understand and track the most popular visitor paths to the point of sale. This information is used to help improve the site’s functionality. Improving the visitor experience increases conversion rates. Bounce rates – if any pages on your website have a high bounce rate, it’s important to find out why. Identifying and resolving any problems help increase your website’s conversion rate. Split testing (A / B testing) – all marketing activity must be tested and measured to ensure it’s effective. Changes to encourage conversion rate optimisation are no exception. If a modification programme is implemented all at once, there is no way of telling which changes were effective. With website split testing, two variations of the same web page are created. One acts as the control and specialist software divides the website traffic between the two pages. Subsequent analysis determines if the changes have improved the conversion rates. Website visitor forensics – Standard website analytics software gives you valuable information about your website traffic. However it cannot identify your visitors individually. But imagine the benefits if you could actually tell who was visiting your website and what they were looking at. Our lead forensics software does just that. This sophisticated system tracks and identifies the visitors, their company and even gives you their contact details. With lead forensics, you can direct your marketing activity to warm prospects, knowing they have already expressed an interest in your company. Like any SEO, conversion rate optimisation is about increasing sales and delivering an ROI (return on investment). 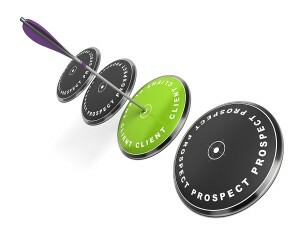 If we don’t help your bottom line, we’re not fulfilling our duty to you, our client. This is why we believe in total transparency. When we measure the effectiveness of your CRO campaign, we not only include statistical information, we also quantify your increase in sales. It’s this open approach which reassures our clients and helps create the long-term relationships we’re so proud of. What would an increase in sales mean to your business? Take the first steps towards increasing your website conversion rate today by phoning us on 0845 601 2237. If you don’t have time to call, why not send us a message instead?